David Pierce gave his Longhorn baseball team most of this week off in order to focus on final exams. As a result, Texas is sitting at home while the rest of the Big 12 involves itself in important late season series. Here’s a look at what’s going on. Next, what’s going on this weekend around the league with the Longhorns and Red Raiders off. The Sooners head to Orlando for a non-conference matchup against a Knights team that is tough to beat at home, where they are 23-7. They’ve also notched some impressive wins in 2018 including taking two in a midweek series from No. 1 Florida and a road conference series at Houston. This is no break for Oklahoma as they look to take the series from a team ranked No. 26 in the RPI. Luckily for the Sooners, a series loss or a sweep does not affect their Big 12 standing. This one has no real effect on Texas, though West Virginia winning would likely help the Longhorns’ RPI and prevent the Frogs from heading to Austin with momentum. This is the series Texas fans should take a major interest in. 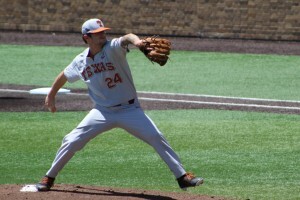 After losing two of three to the Longhorns to open their conference slate in late March, the Cowboys have lost only one other Big 12 game (April 14 in Morgantown), currently sit atop the conference standings, and are projected by D1Baseball.com to be one of two Big 12 regional hosts (the other being Texas Tech). Baylor enters this series on a tear. After getting swept in Austin during Masters weekend, the Bears have gone 14-1 since then. They’ve swept Kansas State and TCU and took two of three from Memphis on the road. The best case for Texas is a Bear sweep. Oklahoma State is slightly reeling having just lost two of three to the Hawkeyes in Iowa in a non-conference series. A 3-0 sweep would put the Cowboys at 15-6 in the Big 12 heading into the last conference weekend where they host a tough Texas Tech team fighting for a top eight seed. It would also position Texas just one game back of the top spot in conference. Baylor has scored seven or more runs in nine of the last 15 games. Their bats are hot with a team average of .288. They might have an advantage going up against Oklahoma State’s pitching. No Cowboy has an ERA lower than 3.15 and opponents are batting .275 against the Poke staff. 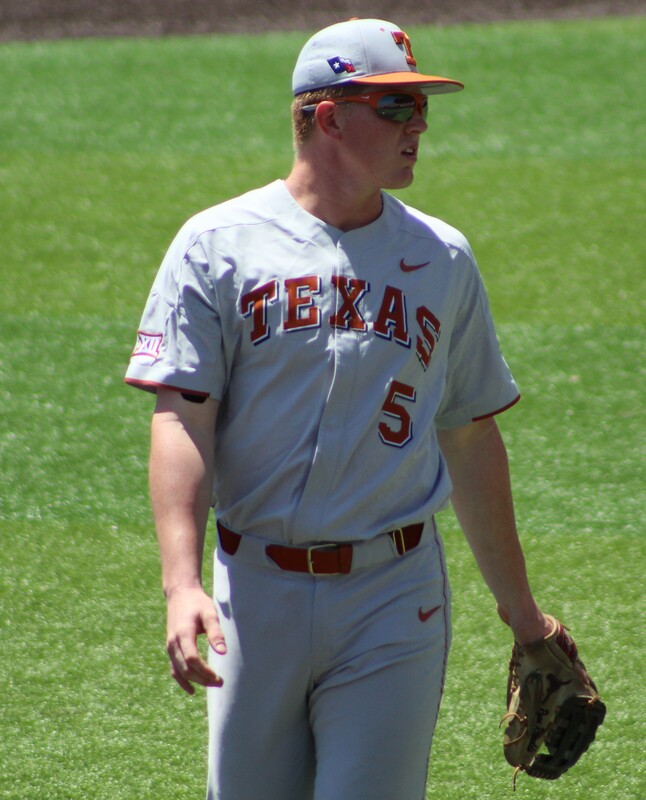 Texas has won five of seven conference series with the two series losses coming on the road and against two teams from the bottom third of the league. More and more, the Kansas State series is looking like an anomaly but it’s still one that negatively affects the Longhorns. The series loss to the Mountaineers is a tough pill to swallow but not to the same degree as the one to the Wildcats, who announced that head coach Brad Hill will step down at the end of the year. Next week’s TCU series looms large. 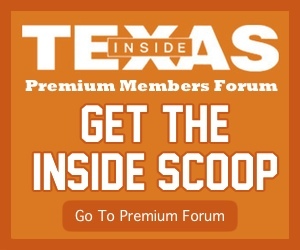 TCU is fighting for its tournament life as D1Baseball.com has the Horned Frogs as one of the first five teams out in their most recent projection. A series win in Austin would go a long way toward boosting their chances of making the field of 64. A series loss forces them to win the Big 12 like Texas did in 2015.